Can we take a step back from the details of Repo 105 to point out the deeply annoying fact that we still do not have a satisfactory answer as to how Lehman Brother appears to have lost $150 billion between June and September 2008? Yves Smith at Naked Capitalism points out that on May 31 Lehman reported a net worth of $26 billion. The bankruptcy administrator put the total losses at $130 billion after the collapse. So what the heck happened? One possibility is that the disorderly collapse of Lehman caused additional losses. But, as Yves points out, the bankruptcy adminsitrator says the maximum disorderly unwind cost was $75 billion. That leaves us with an unexplained $75 billion loss. So what really went wrong? What punched a hole that big in the balance sheet? It’s hard not suspect that Lehman was just carrying lots of assets at inflated values. Indeed, the bankruptcy examiner’s report spells out in detail the lack of internal accounting controls on the values of Lehman’s CDO portfolio. Inside of Lehman, there was a unit called the Product Control Group whose job it was to double-check the valuations of assets held by trading desks. As the report makes clear, they did a terrible job of this. The Product Control Group lacked the resources to comprehensively price test the CDO positions. The employees of the unit lacked the quantitative sophistication that the traders have, so they deferred to the traders’ models. 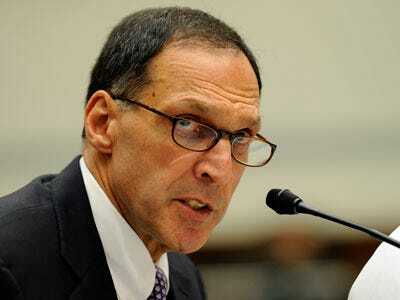 Third-party prices were used to evaluate Lehman’s positions on only 10% of the CDO portfolio. Approximately one quarter of the portfolio wasn’t price tested at all. The Product Control Group just marked them ‘OK’ because they were already written down to a significant extent. Frank Partnoy points out that Lehman was using insane discount rates to value projects. On its largest CDO position, a product called Ceago, Lehman used a lower discount rate for the riskier subordinate tranches than it did on the senior tranches, which is exactly backward. The bankruptcy examiner did not come close to attempting to valuing all of Lehman’s positions, so we do not know how widespread the misvaluation was. But what we know certainly proves that Lehman critics, such as David Einhorn, were absolutely write to question Lehman’s accounting.